With great sorrow, it is intimated that Comrade Fidel Castro,former President of Cuba and veteran world Communist leader passed away today at Havana, the capital of Cuba. He was 90 years old. Com. Castro was the legendary leader of the Cuban Revolution which converted Cuba in to a Communist State. Though a small country Communist Cuba showed the world how a country can grow despite continued attacks and blockade by USA, the leader of capitalism and imperialism. He voluntarily vacated the post of President due to age and was continuing to guide the Socialist Cuba. 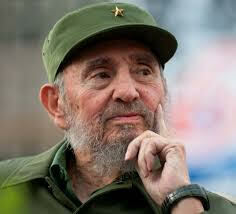 His death is a great loss not only to Cuba, but the entire Socialist world. Red Salute to Comrade Fidel Castro!